Unique to the European design, uPVC French doors feature a flying mullion that eliminates the need for any static fixtures when the door is opened. Consisting of crisp, clean edges and a high gloss finish, these doors are set to be a wonderful addition to any home. 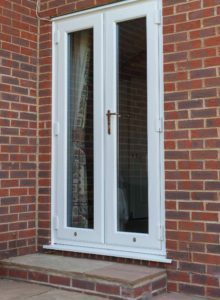 Utilising a modern and innovative design, our uPVC French doors excel in their standards of thermal efficiency, security and durability. 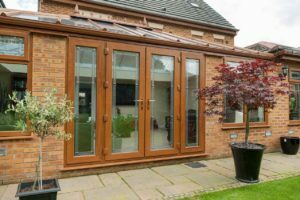 uPVC French doors have proven themselves to be an incredibly popular option for homeowners, due to their ability to effortlessly combine appearance and performance beautifully. They are sure to be a wonderful addition to any property. 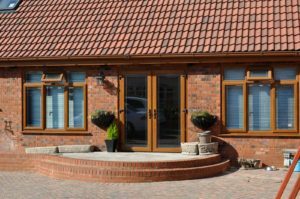 The high quality uPVC profile maintains it’s ‘as new’ appearance with very little maintenance, greatly reducing the possibility of warping, rotting and discolouring. Even over an extended period of time, in the face of adverse weather, these doors will maintain their aesthetic. To ensure our uPVC French doors offer an eco-friendly and highly sustainable manufacturing process, we utilise a uPVC profile that is 100% recyclable. This means you can enjoy outstanding home improvements without the carbon footprint. Combining a premium grade uPVC profile with patented Glass Fibre Linktrusion, our French doors offer exceptional home security. This Secured by Design approved design allows you to enjoy high quality doors with peace of mind. Achieving an A* CERTASS energy rating, our uPVC French doors utilise thermal inserts to trap in pockets of warm air and increase the heat retention of your home. This allows you to enjoy increased comfort and reduced energy costs. By making use of the Traditional 2500 uPVC profile from Deceuninck, we can guarantee outstanding degrees of quality and build across the board. As the result of an innovative and meticulous design process, these doors offer you more. 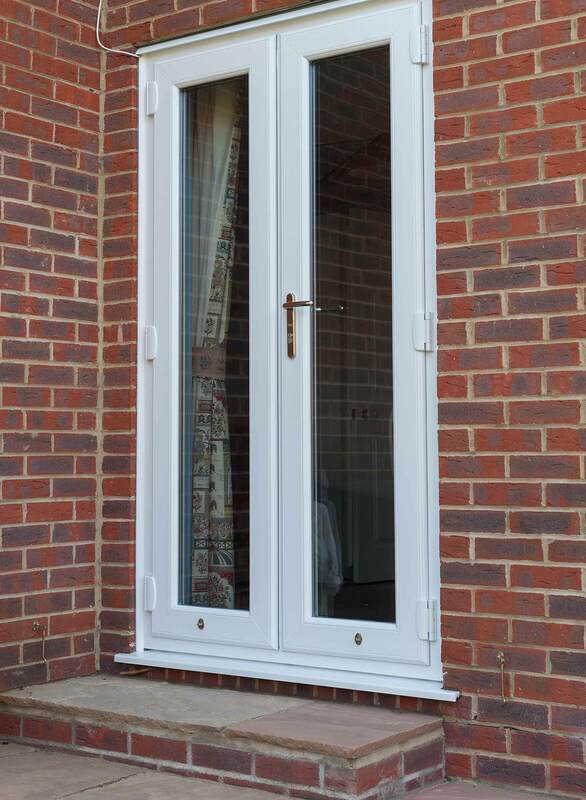 We also offer an outstanding range of uPVC French doors from Synseal. Combining all the benefits of exceptional design with a beautiful aesthetic, these uPVC French doors are high quality by design. We also offer a generous range of complementary hardware to ensure you get the perfect finish for your property. 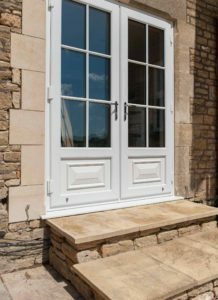 Synseal uPVC French doors offer maximum accessiblty with a low maintenance design to ensure these doors maintain their beautiful appearance whilst offering outstanding degrees of accessibility for both modern and traditional homes. 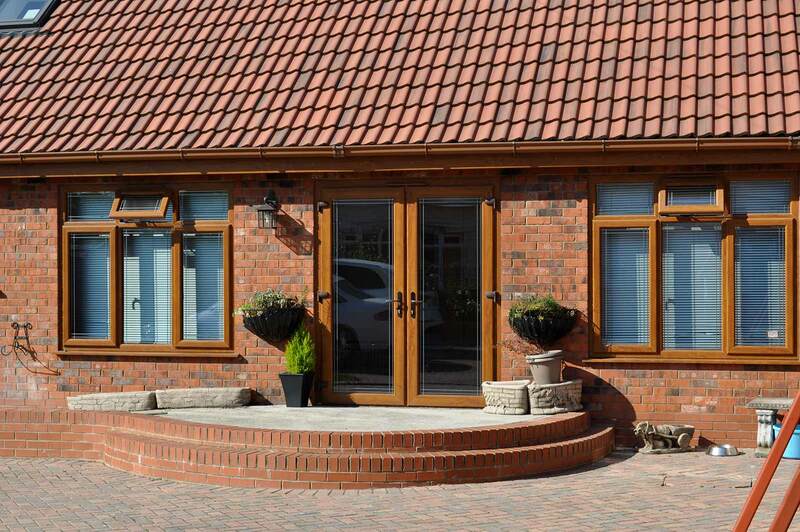 We offer an extensive range of colours to ensure your uPVC French doors capture the exact aesthetic you are after. We offer the number one colour range from Colour Express, allowing you to choose from 18 different colourways. We can also match the door colour with matching trims and cills. Visit our online quoting engine to get a free, instant and competitive uPVC French door quote. We’ll be able to tailor your home to your exact requirements, ensuring you get the perfect price. Alternatively, you can get in touch with us via our online contact form to speak to a member of our team. We’ll be more than happy to help you with any questions you may have.